Op-Ed: Should Dress Code for Flying Passengers Be A Thing? MIAMI — Last week, Saudia Airlines issued a strict dress code for male and female passengers and stated that it will refuse to welcome people who won’t comply with it. Does it mean that Saudia Airlines is going to tell me what I can and can’t wear? Yes, they will. While women can’t reveal their arms or legs, or wear too tight or too thin clothing, men must not expose their legs as well. In other words, short, tight, or revealing clothing is not allowed at any Saudia aircraft. For some people, this may be ridiculous, or even rude and disrespectful. But, actually, it’s the first step to change the flying experience for everyone. Candidly, it’s quite disturbing to be seated on an airplane, for several hours, and have someone next to you dressed like if he/she was at the beach, or at their own house. Numerous times I’ve had to stare anywhere else but at that person beside me. I’m sure that, at least once, you went through a similar situation. Although I completely agree with their decision to enforce a more decent and—why not—elegant dress code, I reject their 2015 statement about separating men and women on its flights to ensure compliance with the Gulf Kingdom rules. As a member of SkyTeam, Saudia must be flexible enough to welcome any of the passengers in the alliance’s network. This alliance comprises carriers from a vast amount of countries, which at the same time, belong to very specific and strict religions. Catholics, Buddhist, Muslim, Protestant, you name it, SkyTeam has it. For this reason alone, trying to segregate passengers within the confined spaces of an aircraft is completely absurd. But asking them to dress properly, it sure has its motives. Just recently, United Airlines was under the spotlight around the world after banning two young girls wearing leggings from boarding the flight. Naturally, this ignited the social media world and people condemned the airline’s decision to not allow passengers wearing tight, skinny pants in one of its flights. So, after all, not only Saudia would be enforcing a dress code. Seems like United is doing it as well! But, are they really enforcing it? Not really. Nowadays, flying has become such an ordinary and quotidian activity that new airlines—also looking for ways to make the traveling experience more affordable—took the steps to degrade themselves with the adjectives “low-cost”, “no-frills”, “cheap”, “basic”, “bare fare”. And when an airline uses these terms to identify themselves, they attract an all-new kind of passenger that rapidly adapts to the environment in which it’s confined. The results: people started to show up to the airline counters wearing the same clothes they use to spend a full day at home, or the same clothes they sleep with. People began to misbehave by showing up partially naked, poorly groomed or cleaned, wearing flip-flops, putting their bare feet against the bulkhead in front of them (or between arm rests), clipping their nails, removing their clothes to sleep on long-haul flights, leaving their seats completely filthy after the flight ends… and the list goes on and on. And the worst part is, everything is immortalized via online sites such as Passenger Shaming, which posts photos and videos of these very things, reminding the world of what the flying experience has become. What once was an activity that reflected status, is today another means of moving from point A to point B, at the cheapest possible rate. And when you fly cheap, why act as if you were living the high life? During the golden age of commercial aviation—say between the 1950s and 1970s—people actually dressed up to fly. Passengers would wear their best clothes. It was like a New Years Eve party or the Captain’s Night Dinner at a ship. 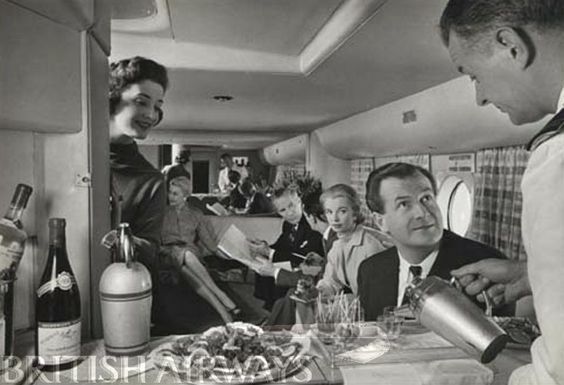 Sophistication was the premise, tattooed on both stewardess’ and passengers’ minds. So, why blame Saudia for asking the world to dress like civilized people again? I would be satisfied to rescue the values that Pan Am—the role model airline—settled back in the days. And not just their exquisite and ethereal food service, but the whole experience that they brought to life on a daily basis from 1927 to 1991. 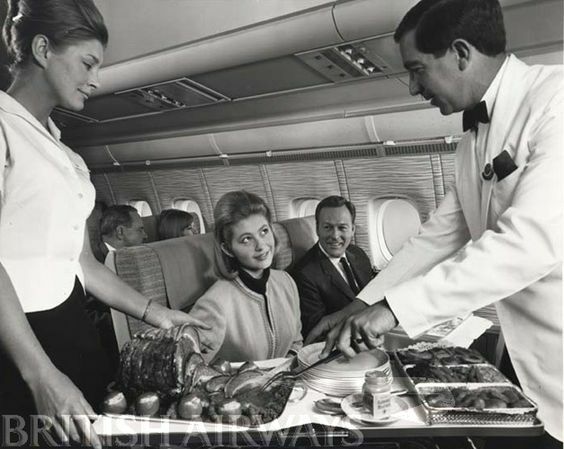 Gladly, if you want to live the fantasy and travel back in time when things were a lot more civilized, you can do so by jumping on the Pan Am Experience time machine, where people do get to dress up and re-live the elegance and glow that Pan Am used to evoke. The aviation world is certainly limitless when it comes to the sky. I believe there’s nothing wrong with setting some limits on the way people dress and behave when traveling. As a Fashion Blogger, I completely understand the fact that clothing is not everybody’s priority, but I certainly don’t understand the desire of some people to expose their bodies while being at an airport or crossing the skies. There are thousands of locations worldwide to do such things. But the afore-mentioned are not the right ones. In my blog, 77 Inches of Style, I made a post titled ‘The Best Way to Dress When You’re Traveling’, which offers handy pieces of advice. From having the right footwear if you need to run to catch your flight, to stay fresh all day, whether you’re above or below the clouds, and more, are the kind of suggestions you will find. There is a whole thread on social media under the hashtag #SaudiaAirlines, including both approvals and objections from people around the world. I highly recommend Saudia Airlines to make an efficient advertising throughout their social media and website about this policy in an attempt to prevent passengers purchase new clothes at the airport stores or the risk being denied boarding. Ugh. This has all been taken the wrong way. Let’s break it down. Why did Saudia do this? Because they are an airline in a country that uses Shariah Law. And in Saudi Arabia, women can’t drive, must cover their entire bodies, the list goes on and on. So it would be natural for such a sexist country with a government run airline to have sexist policies. This is not a good thing, and needs to be stopped. 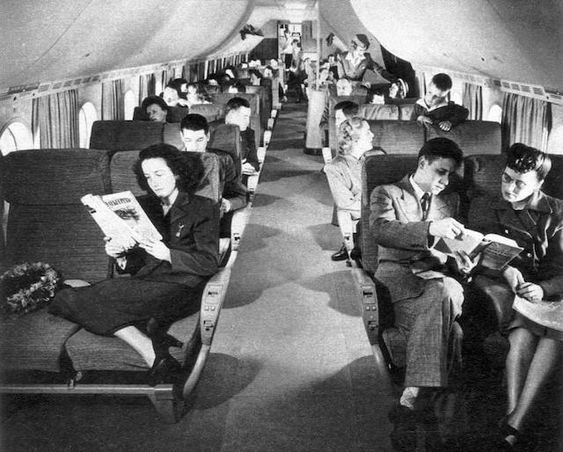 Now I get your reminiscing about the golden age of air travel, but if you want to have a dress code for passengers–make it reasonable. I wholeheartedly support the author! Why in the increasingly selfishly orientated “me, me me” western world is it necessary to carry on like a vulgar slob, like oh so many do. It shows a lack of care and a lack of pride – aka, I don’t care how I appear or act in front of other people. Then please don’t complain when you get treated like the way you look and behave…rubbish. NO wonder Cabin Staff talk about trash pax! Saudi’s policy may have other motives behind it but the principle that people should show enough respect for ALL others, regardless of their religion or culture, by at least dressing with a modicum of discretion and civil behaviour is entirely legitimate. Especially considering the vulgar sight of an increasingly obese population. I have worked at African airports and watched the local staff mock and kill themselves laughing at supposedly “rich, educated, developed” Europeans disembarking from flights looking like rubbish bins.